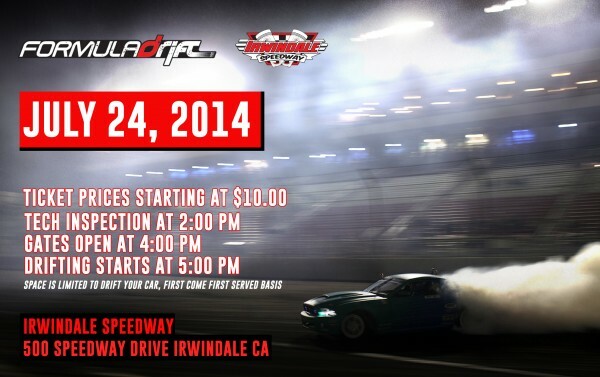 The 2nd Irwindale Thursday Night Drift sessions will be on July 24, 2014 will be open to the general public. Admission to the track’s grandstands will start at $10.00 including free parking. Gates will open at 4:00 PM and the Drift sessions will run till 9:00 PM.